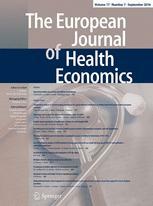 The objective of the present work is to explore the incremental costs of frailty associated with ambulatory health care expenditures (HCE) among the French population of community-dwellers aged 65 or more in 2012. We make use of a unique dataset that combines nationally representative health survey with respondents’ National Health Insurance data on ambulatory care expenditures. Several econometric specifications of generalized linear models are tested and an exponential model with gamma errors is eventually retained. Because frailty is a distinct health condition, its contribution to HCE was assessed in comparison with other health covariates (including chronic diseases and functional limitations, time-to-death, and a multidimensional composite health index). Results indicate that whatever health covariates are considered, frailty provides significant additional explanative power to the models. Frailty is an important omitted variable in HCE models. It depicts a progressive condition, which has an incremental effect on ambulatory health expenditures of roughly €750 additional euros for pre-frail individuals and €1500 for frail individuals.